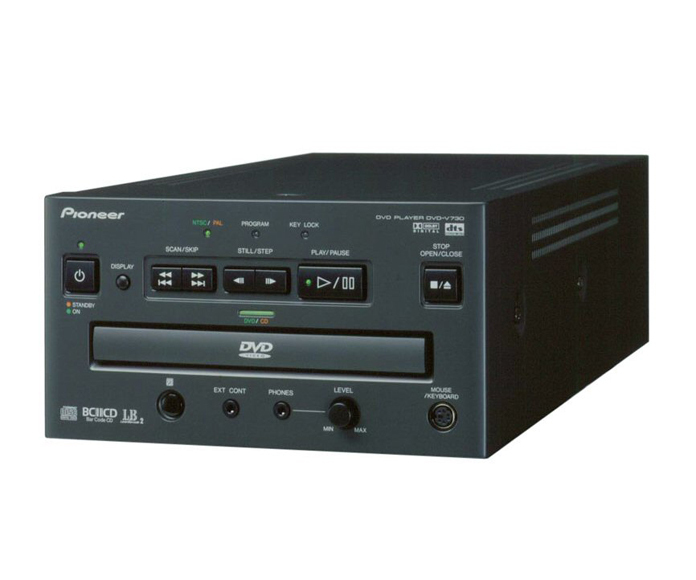 Pioneer has produced the ultimate industrial DVD-Video player. The DVD-V7300D has been designed and built exclusively with the professional market in mind. RS-232 control, frame accurate search function, real-time clock and programming all encased in a robust dustproof industrial design.